Scientists have charted the environment surrounding a stellar-mass black hole that is 10 times the mass of the Sun using NASA's Neutron star Interior Composition Explorer (NICER) payload aboard the International Space Station. 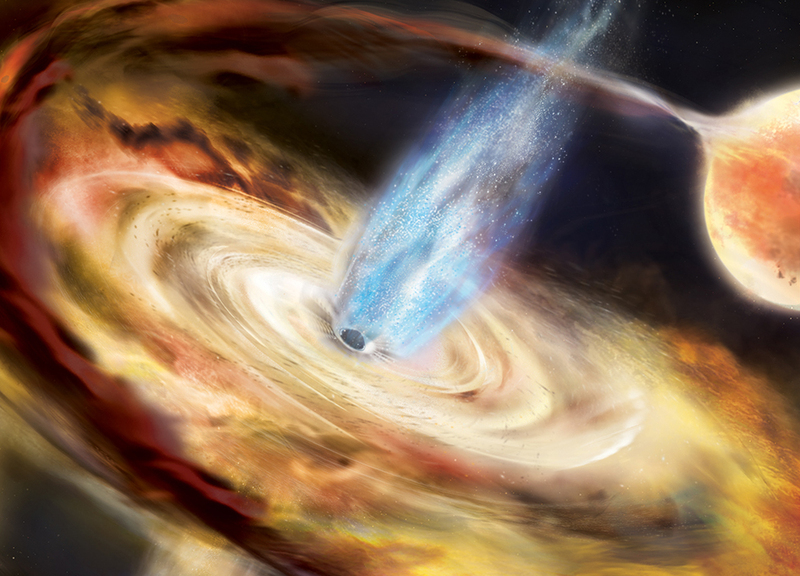 NICER detected X-ray light from the recently discovered black hole, called MAXI J1820+070 (J1820 for short), as it consumed material from a companion star. Waves of X-rays formed "light echoes" that reflected off the swirling gas near the black hole and revealed changes in the environment's size and shape.